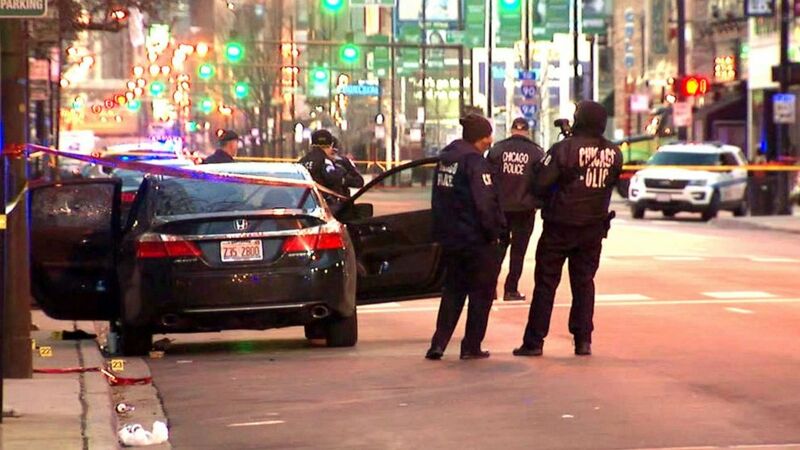 One of the suspects, accused shooter 24-year-old Menelik Jackson, was an applicant to be an officer for the Chicago Police Department, Chicago Police Department spokesman Anthony Guglielmi told ABC News. Jackson, of South Holland, Illinois, was arrested during a polygraph test for a background check for committing an armed home invasion. A judge subsequently put him on probation, Guglielmi said. Jackson and his accused co-conspirator, Jovan Battle, 32, of Chicago, will each face one felony count of first-degree murder and three felony counts of attempted murder, Guglielmi said on Twitter. Jackson also faces charges of resisting police after trying to flee during arrest, he said. The killing unfolded early Saturday morning, a few hours after 23-year-old Rivera finished his shift. He was leaving a nightclub in downtown Chicago with another off-duty officer and two friends when they were ambushed, police said. “Mark my words, we will find them,” Johnson vowed.